Television and Internet Historic Broadcast of the FIRST EVER American Indian Awards Show on Cable Television, Internet, LIVE Broadcast and televised broadcast, and Prime-time Network News. 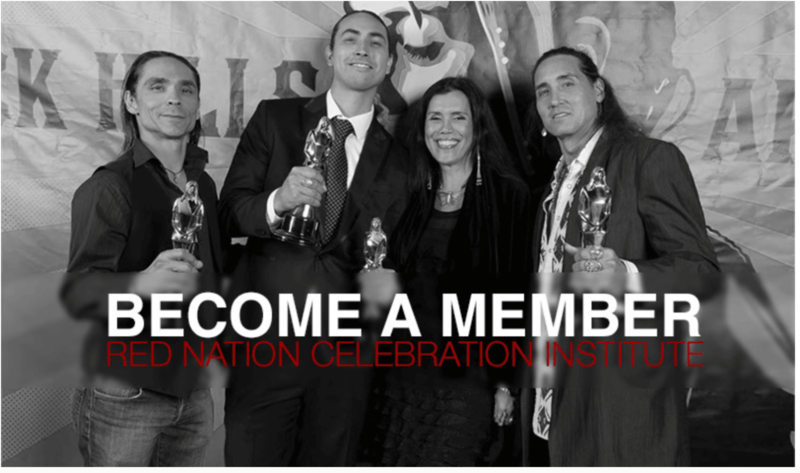 2013 “RNCI Red Nation Awards” an American Indian Film Awards Show was broadcast on Comcast | NBC Universal in 2013. In addition to Red Nation Awards Show, Comcast | NBC Universal also aired ten Red Nation Film Festival independent films. This was the FIRST time in the HISTORY of Television that an American Indian & Indigenous Film Festival “Red Nation Film Festival” and “RNCI Red Nation Awards Show” was BROADCAST. 2014 RNCI Red Nation Awards Broadcast LIVE Red Nation Television Channel-Native is Here (internet) and Channel 36LA Time Warner Cable Television and online, more dates TBA. 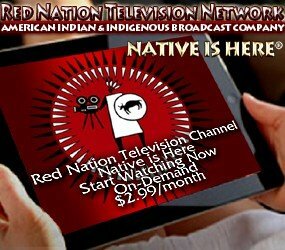 2013 RNCI Red Nation Awards Broadcast on COMCAST | NBC Universal and Red Nation Television Channel-Native is Here. 2012 CBS KCAL 9 – Interview with RNFF Founder/Producer. 2011 ABC Network entertainment reporter George Pennachio Covers Red Nation Film Festival. 2011 CBS News covers RNCI Red Nation Awards. 2010 ABC Network entertainment reporter George Pennachio Covers Red Nation Film Festival. 2009 CBS News covers Red Nation Film Festival and Interview with RNFF Founder/Producer on the Red is Green Carpet. 2009 ABC News covers Red Nation Film Festival Opening Night. Then again in 2014, Red Nation Awards Show went LIVE, marking the first time an American Indian Awards Show was produced LIVE, reaching 10 million viewers in 37 countries broadcast on Red Nation Television Channel (Internet), as well as local Los Angeles television stations. This year 2015, Red Nation Film Festival is currently pursuing a commercial telecast producing Red Nation Awards Show to broadcast in several markets, including Los Angeles, San Diego, Phoenix, New Mexico, Nashville, cable, internet outlets and internationally. Red Nation Awards Show will be produced LIVE, Sunday November 22nd; then a 120-minute production will be delivered and televisied broadcast on Thanksgiving Day, Thursday, November 26th and 27th. Other dates will be added in the month of December. 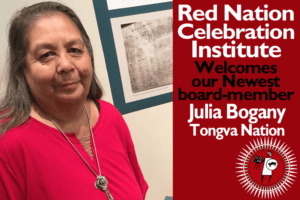 The broadcast will provide exposure of native films, filmmakers, actors, A-list celebrities, On the Red is Green Carpet, performers; Red Nation Conversation Series Forum panels, native culture, Tribal and Corporate Sponsors; in celebrating American Indian Heritage Month. In celebration of the 12th Anniversary of Red Nation Film Festival – The Authentic Voice of American Indian & Indigenous Cinema, this magnificent production will be our third year in broadcasting on cable television, internet TV, and ‘commercial’ televised broadcast, locally, nationally and Internationally. in the City of Los Angeles (https://www.rednationff.com/548/). RNCI “Signature Event’ estabhished in 1995 and is produced annually held during the Grammy Week is Red Nation Celebration Concert Series, highlighting Contemporary & Traditional American Indian music & recording artists (http://www.rednation.com/concert-series/). 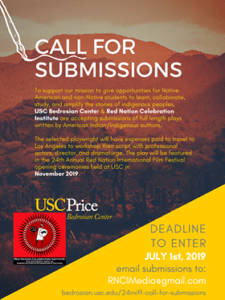 RNCI would like to invite your Tribal Nation, Corporate/Tribal Enterprise, Studio/Production Companies to become part of our third year of broadcasting “RNCI Red Nation Awards Show” and join us as a partner in our continued historic productions.